Even in a world of ubiquitous digital devices, paper has its uses. It’s fast, cheap, has very low “editing costs” — and it’s my first go-to place if I want to just play around with some ideas. 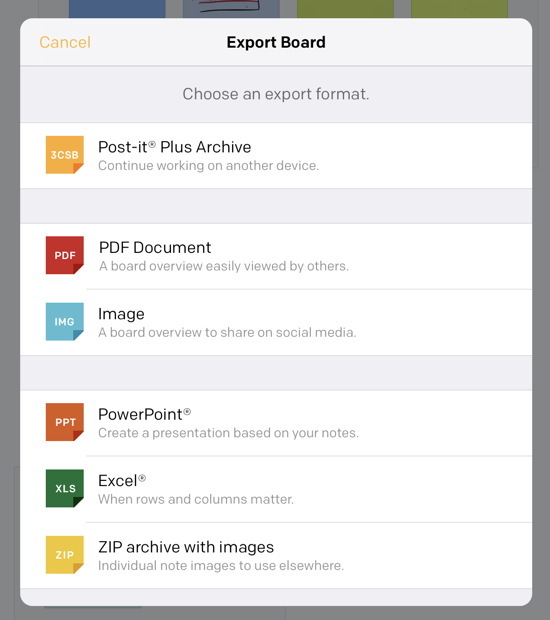 But it’s nice to see an example of an app done well, that starts with the best of paper, and adds the best of digital. 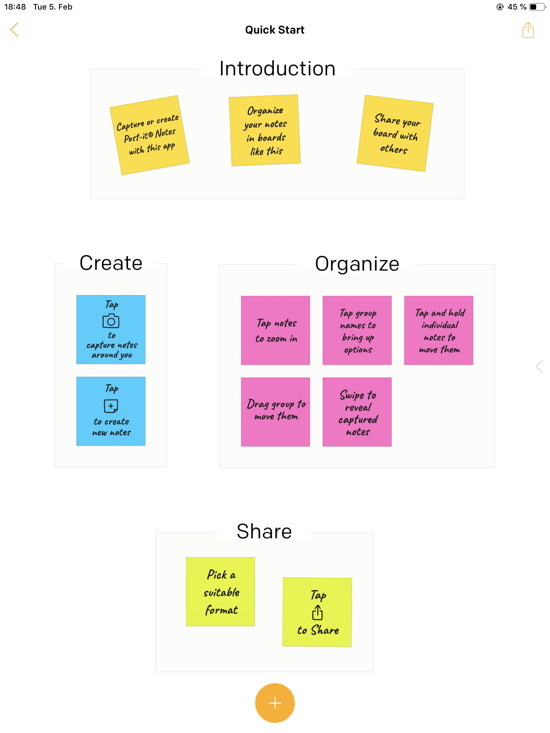 you can simple take a photo and — voilà — your Post-it(R)’s are digitized, all of them (here together with a few others, and a bit rearranged). Digitized and rearranged with a few other Post-Its. 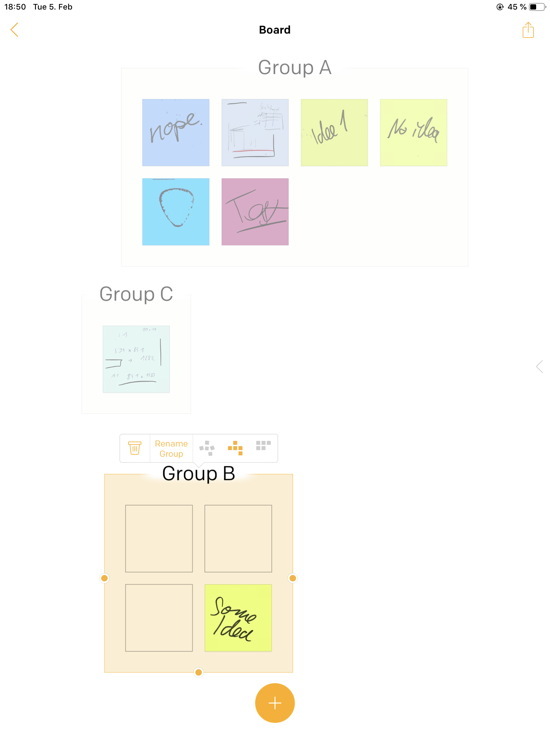 And you can easily rotate them, rearrange them (even automatically), group them, delete or add text (you can actually easily erase handwritten writing from physical Post-it(R)s, even change the paper color of what started as physical Post-it(R)s), and export them in a variety of different formats. 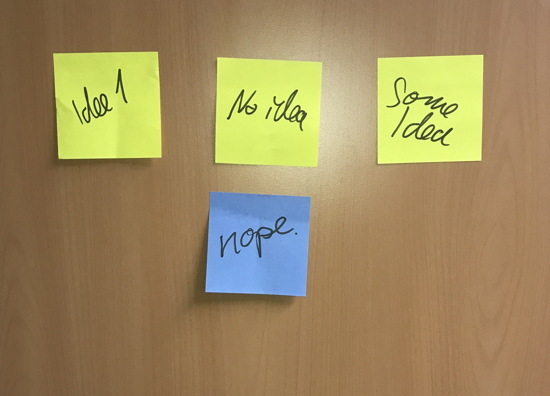 Heck, even as .zip file with the individual Post-it(R)s as images, or as PowerPoint (allowing you to move the Post-it(R)s). 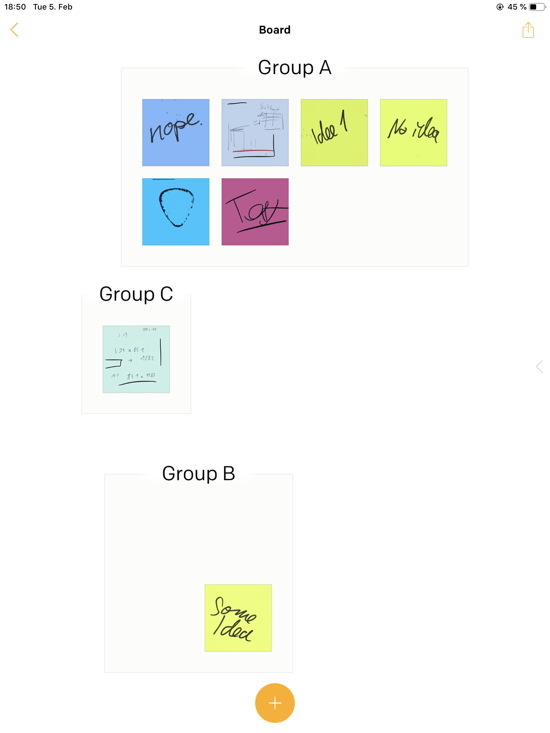 It’s possible to automatically arrange the Post-it(R)s in a group. 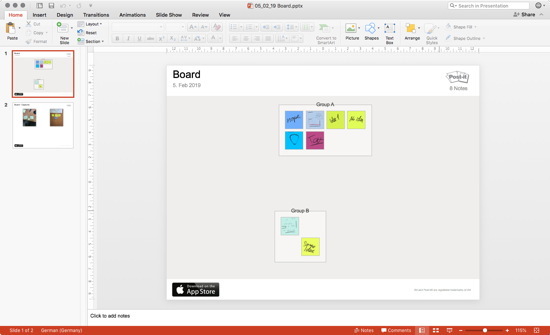 Allowing you to continue in PowerPoint (and thus, Keynote, likely also the Office products by Google). 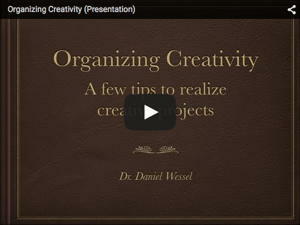 Or see marked Post-it(R)its as Widget. You can also favorite Post-it(R)s to appear as widget on your iPad. 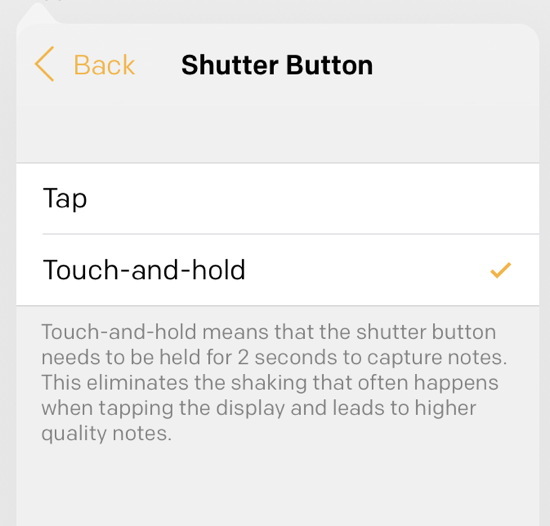 Given there’s no “decisive moment”, holding the button for 2 seconds makes sense. Even the Quick Start is done well. 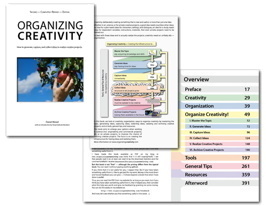 Common with good apps (Scrivener eats its own dogfood as well), but also, well done. Manual selection, and yeah, it can digitize a lot of them in one go. (Only thing I don’t like it the group-box around even a single Post-it(R). I’d prefer it if that box were optional (or only when at least two Post-it(R)s are put together). I just tried the app out, so they may be caveats. But the developers do not seem to follow a subscription model — which would make sense. 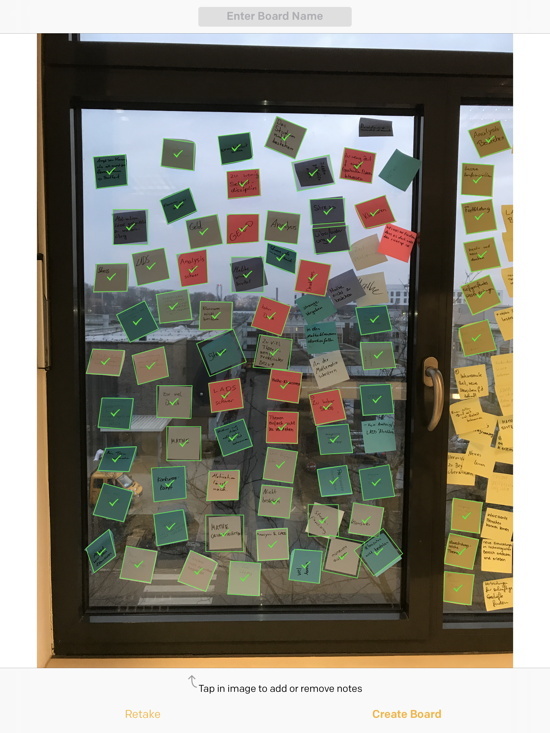 After all, people will buy Post-it(R)s if they use the app, so they will make money in any case (perhaps not if they buy generic counterparts).